L.M. Elliott to receive the 2018 Grateful American Book Prize for Suspect Red and an Honorable Mention for Hamilton and Peggy! WASHINGTON, DC, Sep 20 – The winner of the 2018 Grateful American Book Prize is L.M. Elliott, for her historical novel, Suspect Red, a look at McCarthyism and the Red Scare, published by Hyperion-Disney. She will also receive an Honorable Mention award for Hamilton and Peggy! A Revolutionary Friendship, published by HarperCollins and Katherine Tegen Books. It’s the first time an author will be given the Prize, and an Honorable Mention. 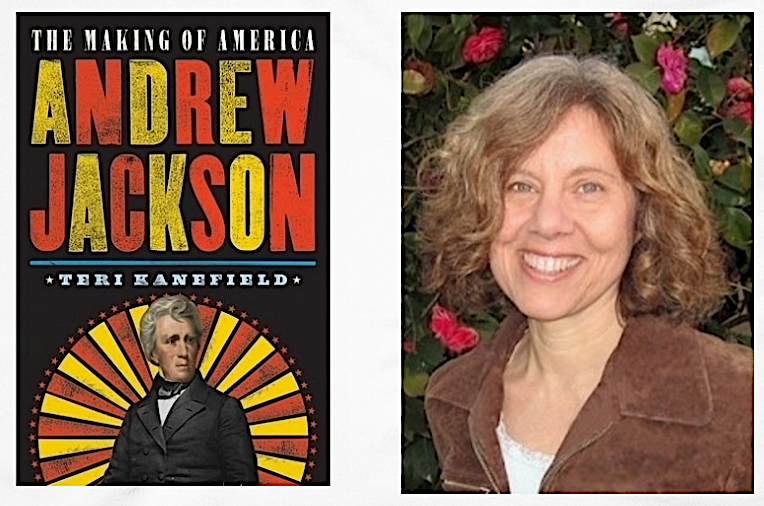 Teri Kanefield, who will receive an “Honorable Mention” for her biography of Andrew Jackson, is the author of The Making of America series published by Harry N. Abrams. In addition to “Jackson,” she has written about Alexander Hamilton (2017), and Abraham Lincoln (2018). Her “Susan B. Anthony” and “Franklin Delano Roosevelt” will appear in 2019, and the publication date of “Thurgood Marshall” is pending. The goal of the Grateful American Book Prize, as Ms. Elliott described it, is to “restore history as the captivating subject it is. History is, after all, a human drama, the story of how we got to where we are. Teachers are faced with the daunting task of covering centuries of events, leaders, political and cultural movements, wars, and statistics, on and on. Historical or biographical fiction, if done well, immerses its reader in a time period and brings a beating heart to those ‘dry’ facts. It offers something for which students hunger—humanizing the history they must memorize for tests by telling it through the eyes of an ‘everyman’—a character who must navigate national situations and experiences fears, longing, and moments of revelation, a person with whom readers empathize and turn each page concerned about what happens next. Engaged in a compelling, well-researched story, teens learn so much about a time period and its challenges by osmosis. They’re just enjoying a good story–even if it’s about frightening, complex times, with large lessons, as is Suspect Red. The Grateful American Book Prize comes with an award of $13,000, a lifetime pass to the New-York Historical Society, and a medallion created by the American artist, Clarice Smith. The October 11th presentation will be at The Society of the Cincinnati in Washington, D.C. The “Honorable Mention” authors receive the medallion, and $500 each.